Tuesday, February 7, 1837.Vandalia, IL. Lincoln votes nay on five amendments to bill extending act incorporating Shawneetown Bank, and yea with majority ordering it engrossed for third reading. Afternoon is devoted to amendments to school fund distribution act. 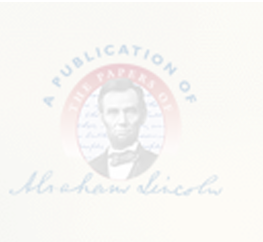 Lincoln adds amendment which is adopted.House Journal; Amendment to an Amendment Introduced in Illinois Legislature to an Act distributing the School Funds to the Counties, [7 February 1837], CW, 1:71.